Mouth cancer, or otherwise known as oral cancer, is the uncontrollable growth of cells in any part of the mouth. It can appear as a sore on the lips, cheek, gum and tongue. Oral cancer can occur on the roof or floor of the mouth as well as on the hard and soft palate. Hundreds of thousands of people around the globe are diagnosed with oral cancer annually, and just over half will be alive five years later. It may be a startling statistics from the Oral Cancer Foundation but there is some good news, too. If caught early, oral cancer is highly treatable. According to the Oral Cancer Foundation, the high death rate of oral cancer is due to its usually being discovered late in its development. That means that prevention and early diagnosis can make a huge difference. - White, red, or mixed red and white spots (or patches) on your tongue, gums, or any other tissues in your mouth. - A sore or irritation in the mouth that bleeds easily and doesn't heal. - Bleeding in the mouth. - Persistent tenderness, pain, or numbness anywhere in the mouth or on the lips. - A lump or thickening in the cheek or neck. 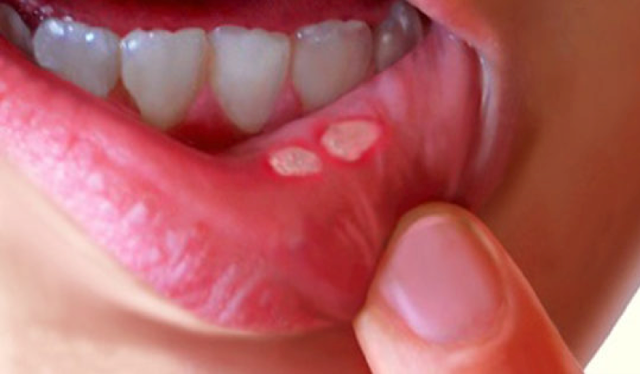 - A thick, rough, or crusty spot, or a small area that looks like it's wearing away anywhere in the mouth. - Difficulty chewing, swallowing, talking, or moving your jaw or tongue. - A change in the way your teeth fit together when you bite down. - A change in your voice that isn't due to a cold or allergies. - An earache that doesn't go away. - Numbness of the lower lip and chin. How To Prevent Oral Cancer? Smoking is to blame for 90 percent of all oral cancers. Whether you use cigarettes, pipes, cigars, "herbal" cigarettes, snuff, or chewing tobacco, you're at increased risk. Heavy alcohol use by itself increases the risk of oral cancer, but when paired with smoking it packs a double whammy. Cancer of the lips can result from too much sun exposure. If you're going to be out in the sun, use a lip balm with sunscreen and wear a hat. Some types of the human papillomavirus (HPV) which can be passed during sexual act can infect the mouth and throat passed through sexual contact. HPV infection is linked to cancer at the base of the tongue, the back of the throat, in the tonsils, and in the soft palate. Betel nuts are a type of palm seed that is wrapped with a betel leaf and sometimes mixed with spices, sweeteners, and tobacco. Chewing them is most common in Asia. Some studies say your risk of developing oral cancer increases if your daily meal plan doesn't include plenty of fruit and vegetables. They'll spot any suspicious skin changes in your mouth before they become a problem. Oral cancer isn't common, but it is serious. Arm yourself with the warning signs, have regular checkups, avoid tobacco and other risk factors, and you have an excellent chance of avoiding it altogether.